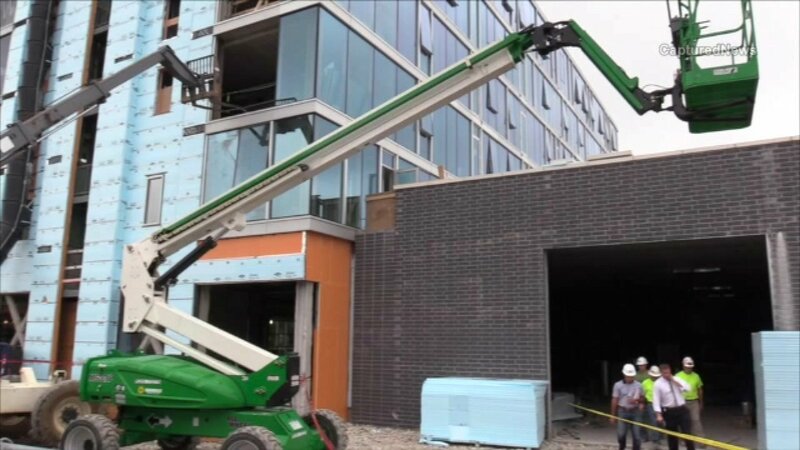 CHICAGO (WLS) -- A construction worker died after falling three stories on Chicago's Northwest Side, police said. Officers responded to the 1600-block of West Division Street in the city's Wicker Park neighborhood Friday morning. They found the 54-year-old man had fallen from the third floor of a building under construction. The Chicago Fire Department rushed him to Stroger Hospital, where he was later pronounced dead. Authorities have not yet released his identity. Police did not disclose any further details. A source said the worker may have been helping to unload building material from a lift bucket through a window area.